Home » Bonus » Casino » Tips to clear your online casino bonuses faster! All the top online casinos offer a bonus to their new clients. These can vary from a No Deposit Bonus to a Match Bonus, Cash Back, Reload Bonus, or Loyalty Bonus. Just about every online casino bonus, however, comes with casino wagering requirements. Usually these requirements have to be met within 30 days to 90 days in order to qualify for the bonus. If, for example, your online casino of choice only gives players 30 days in which to meet the necessary requirements, the pressure will be on from day one – because nobody wants to lose that alluring casino bonus! Below are a couple of great tips on how to clear your online casino bonuses faster. It’s amazing how many players fail to do this – and eventually pay the price for it. Make sure you fully understand the casino’s wagering requirements before committing yourself. Bonus money always has to be wagered a specific number of times before you are allowed to withdraw it. This often varies between 25 times and 50 times the amount of the bonus. The trick here is to get as large a bonus as possible with the lowest wagering requirement. A 200% bonus with a 25x wagering requirement beats a 100% bonus with a 50x wagering requirement. 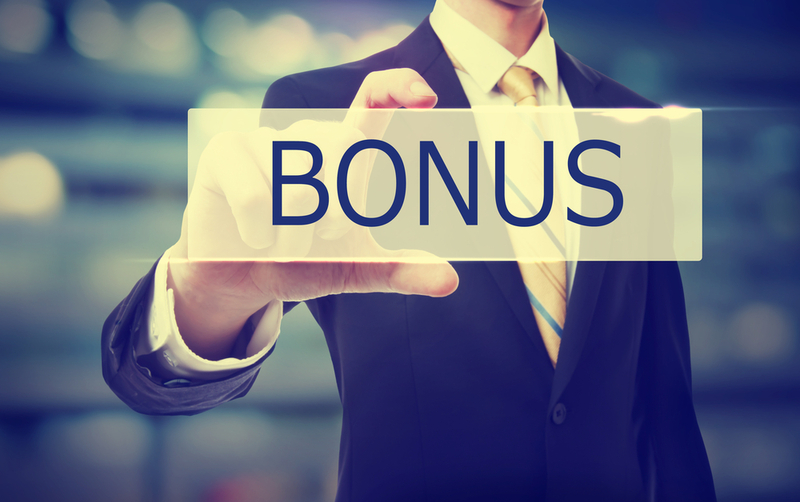 Two things determine the dollar amount of your bonus: the bonus percentage and the amount of your initial deposit. The higher the initial deposit, the higher the bonus will be – but remember that you have to wager that bonus a certain number of times, so don’t get too greedy here: a bonus of $100 is much easier to quickly clear than one of $1 000. If you studied the wagering requirements, you will know which games will help you to meet these requirements the fastest. Focus on playing those games and do not waste time (and money) on other games. If you’re on a losing streak, try not to cash out before you’ve met the casino’s wagering requirements. Some casinos even specify that if you try to do this you will forfeit the online casino bonus. Another way to clear that online casino bonus faster is to take part in buy-in tournaments. Contrary to cash games, buy-in tournaments provide more points that help players to more quickly clear their casino bonus. The more tournaments you play, the easier it becomes to rapidly clear the entire bonus. Certain games favor players more than others. Wherever possible, you should play these games to faster fulfill the bonus wagering requirements. Games that boast the smallest casino advantage, such as video poker and blackjack, seldom count as 100% towards the wagering requirements, but it’s worth studying the terms to see whether they can help you clear the bonus as quickly as possible. If slot games count 100% (or close) towards the wagering requirements, it could be useful to check which slots offer players the highest returns. With many brilliant online slots now giving a very low edge to the house these games could become very useful in your attempt to clear the casino bonus. So you’ve made the first deposit and the casino offers a brilliant 200% bonus. You’re nearly there meeting the wagering requirements – and then you find out that they have a maximum amount you are allowed to withdraw from bonus winnings. Even worse, the casino might suddenly try to get out of paying the bonus on the grounds of some or other obscure requirement in their terms and conditions. This is why choosing an online casino with a track record of being trustworthy, reliable and safe is extremely important. Run when you’ve made a big win! Our last tip might be the one that keeps you playing for years to come. With most casinos you play with your own money first, and only start using the bonus once that runs out. If you are lucky enough to win a significant amount before even touching the online casino bonus, withdraw your winnings (where this is possible) and forfeit the bonus. That is hard to do, but it makes no sense to convert a sure win into a potential loss because you were adamant to meet the wagering requirements.